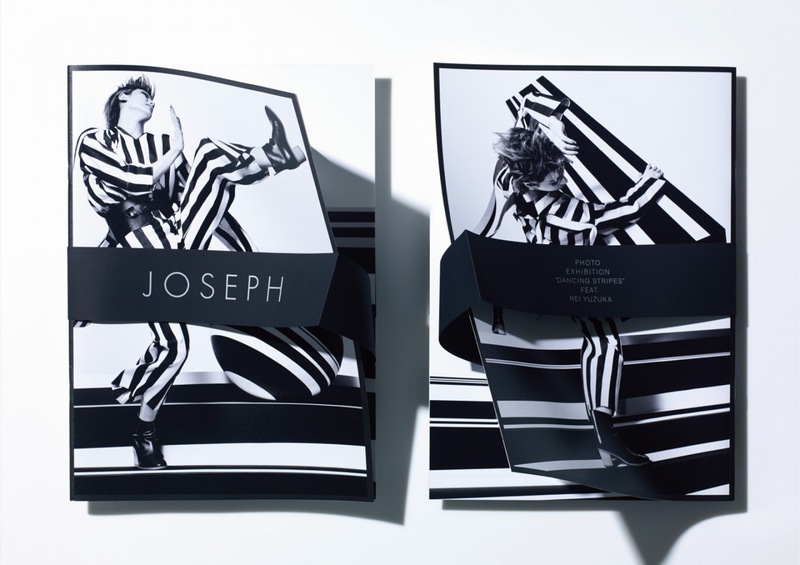 The stripe motif, which is a visual identity of the English clothing brand JOSEPH, represents the adjoining of two contrasting elements. 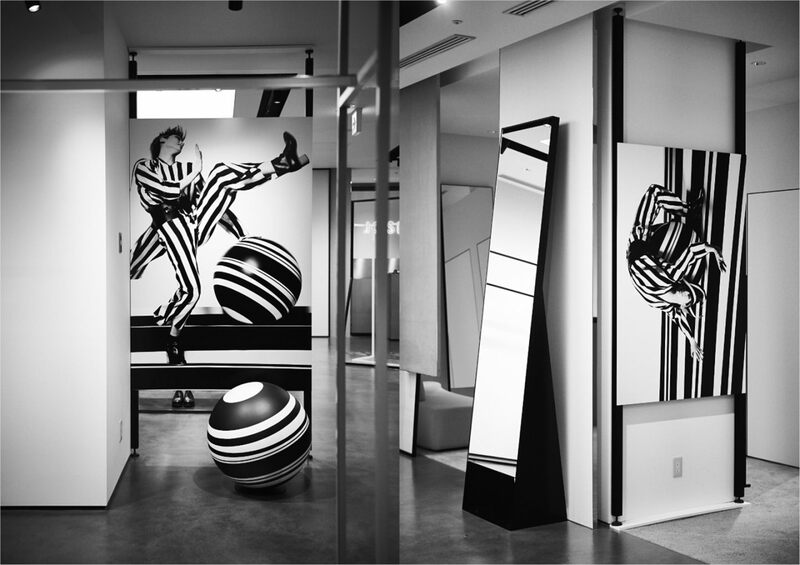 To express the contradicting contrasts of "black and white," "masculinity and femininity," and "elegance and dynamism," which are all at the core of the brand, we created a visual featuring Rei Yuzuka, who posseses attractive qualities that are both masculine and feminine. 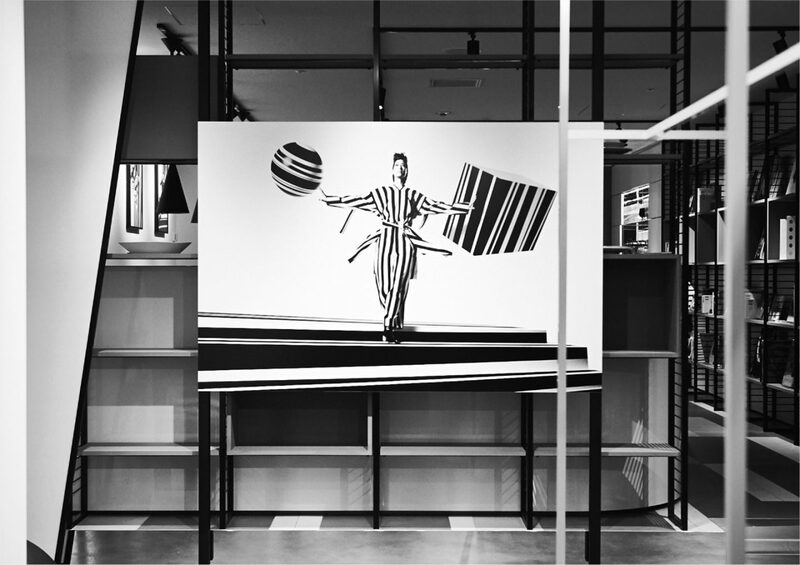 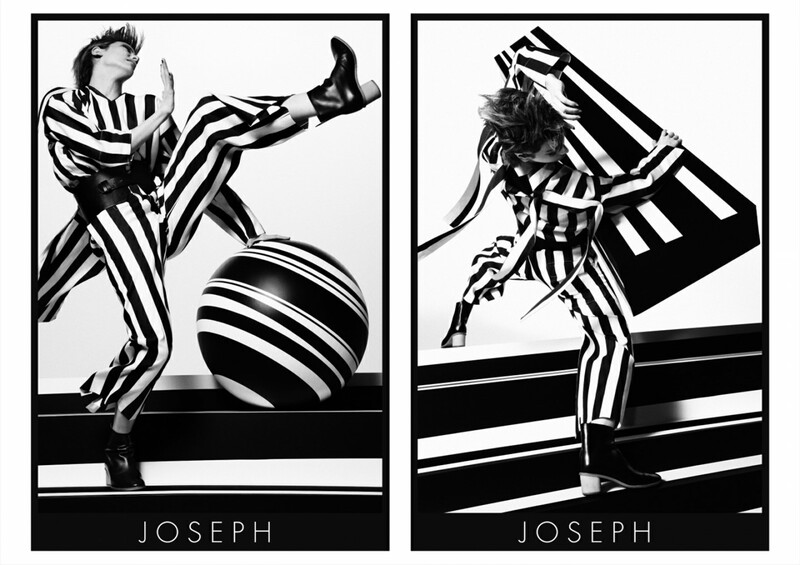 The themes of "afloat" and "falling" were visualized with a dance in a world of stripes.